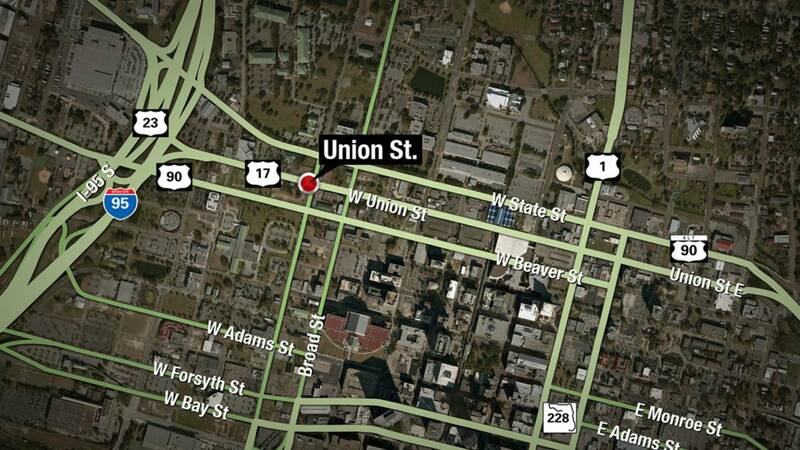 JACKSONVILLE, Fla. - Jacksonville police are search for a driver who hit a man on Union Street around 10:30 p.m. Saturday, and then fled. Detectives said when they arrived on the scene just east of Jefferson Street in downtown Jacksonville, they found a man lying in the roadway. The unidentified man was rushed to UF Health with life-threatening injuries, police said. Witnesses described the vehicle leaving the scene as a dark-colored SUV. Anyone with information about the hit and run is asked to call JSO at 904-630-0500. The investigation is ongoing and the story will be updated as information becomes available.